We all love Tiffany & Co. – for breakfast and otherwise. Now, having a store-like experience is just a click away because, for the first time, visitors to the site will be able to click on "See It On" feature that shows the actual size and scale of the jewelry on you. Plus, there is a new "Drop A Hint" option that notifies loved ones what gift you want. How cool is that to make giving and receiving more streamlined? In addition, there will be quarterly style guides and an engagement ring section adapted from Tiffany & Co.'s Engagement Ring Finder app that lets the user see rings on various skin tones. 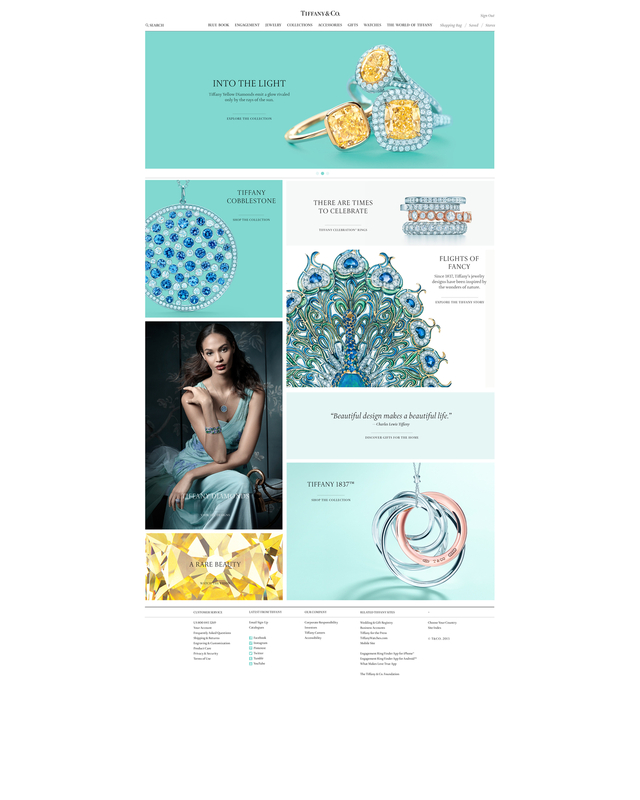 The site includes significantly expanded "World of Tiffany" and "Gifts" categories that will highlight editorial and lifestyle components so that pre-store shopping and even just online purchases can be an enriching experience.